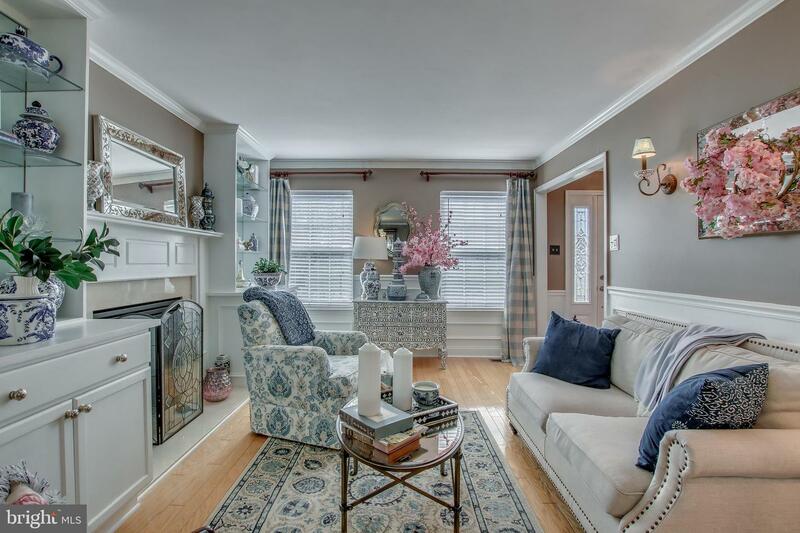 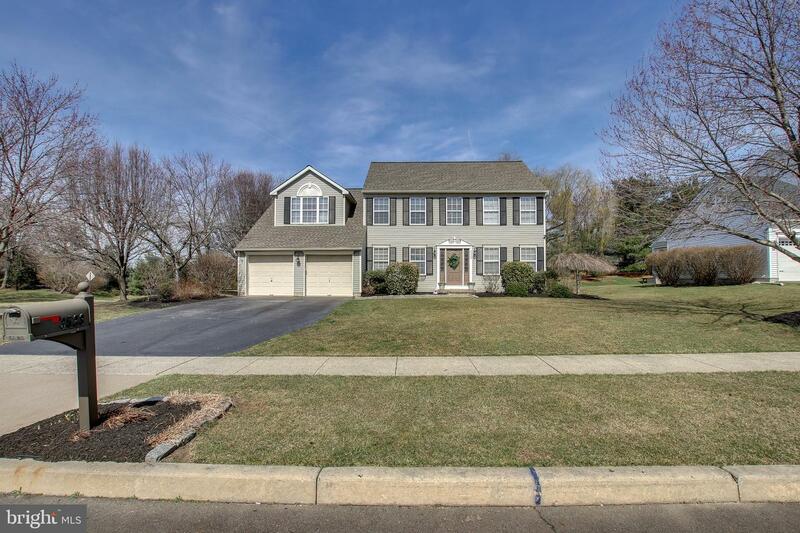 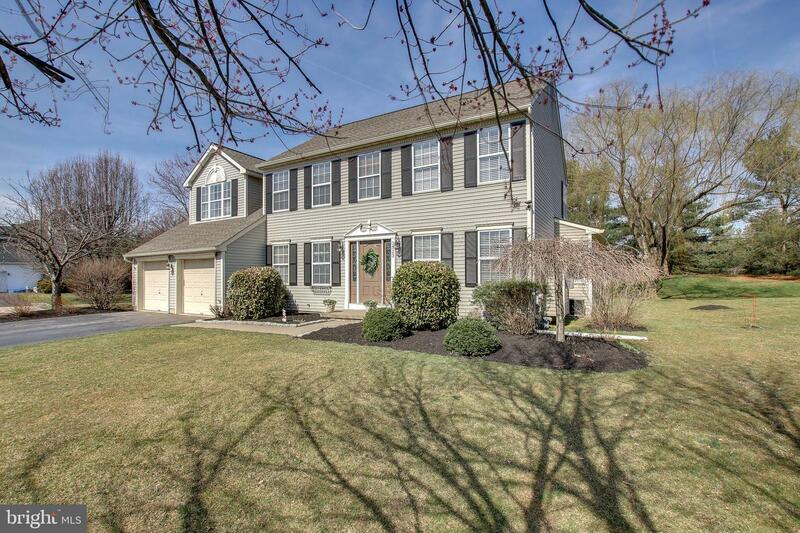 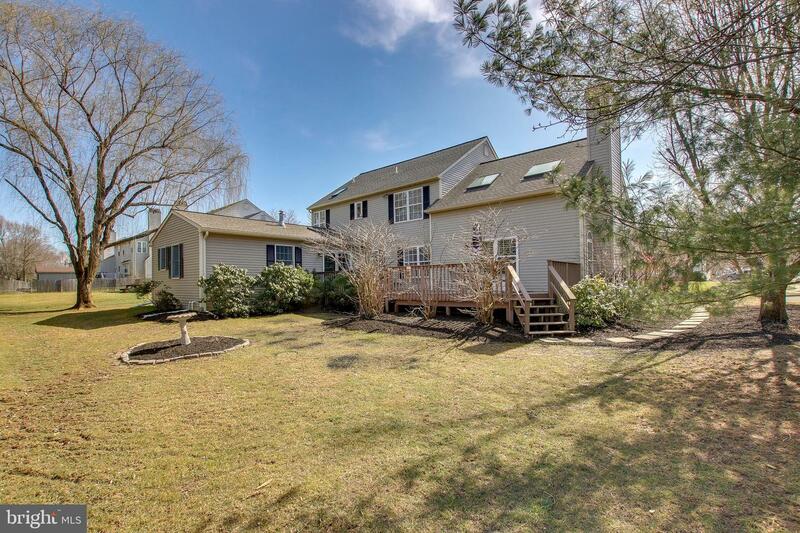 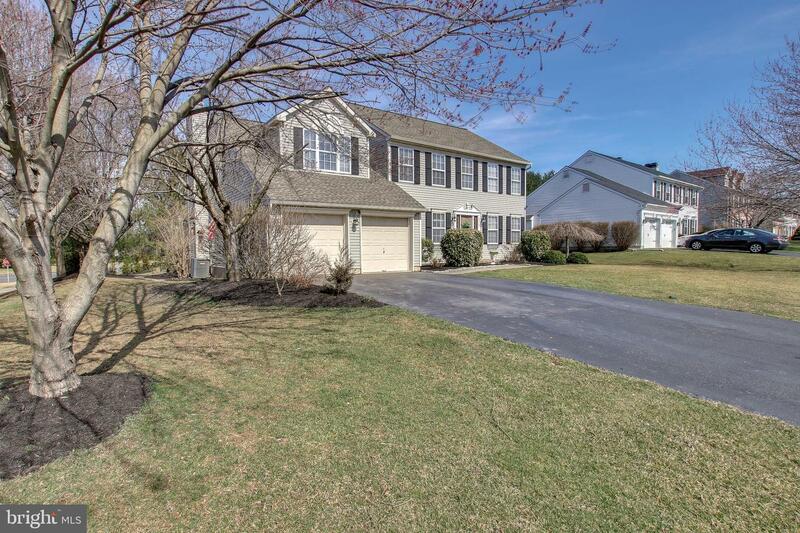 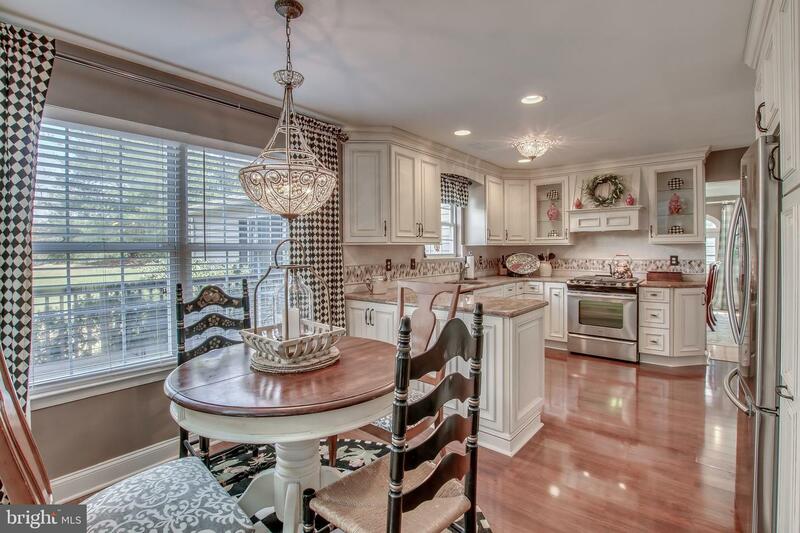 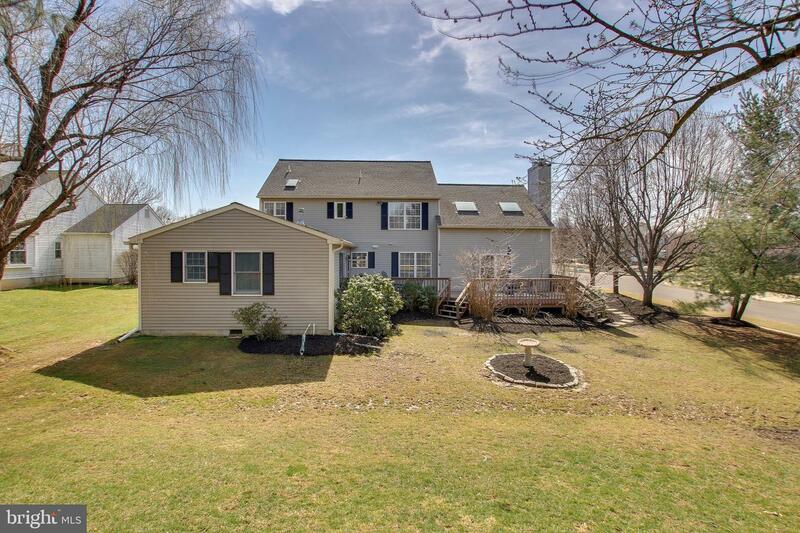 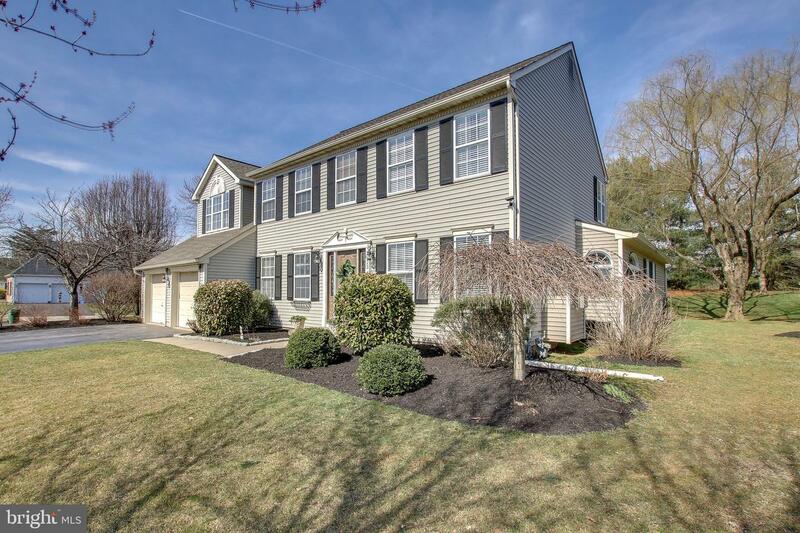 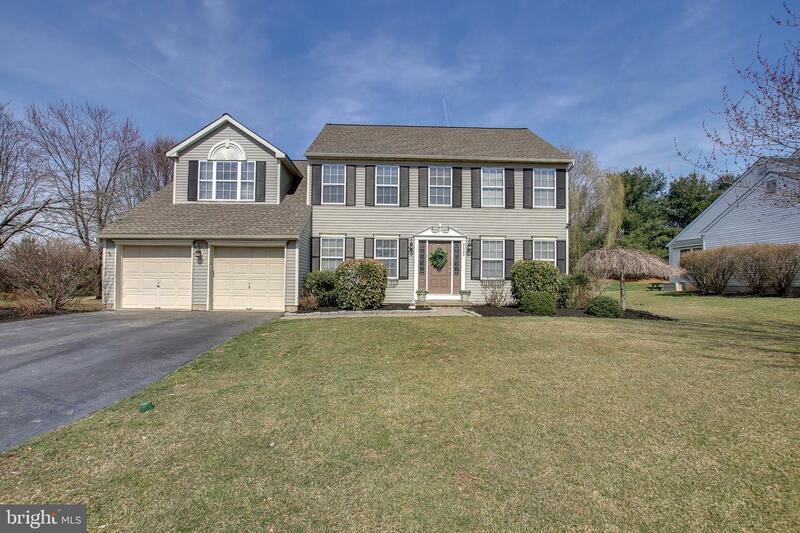 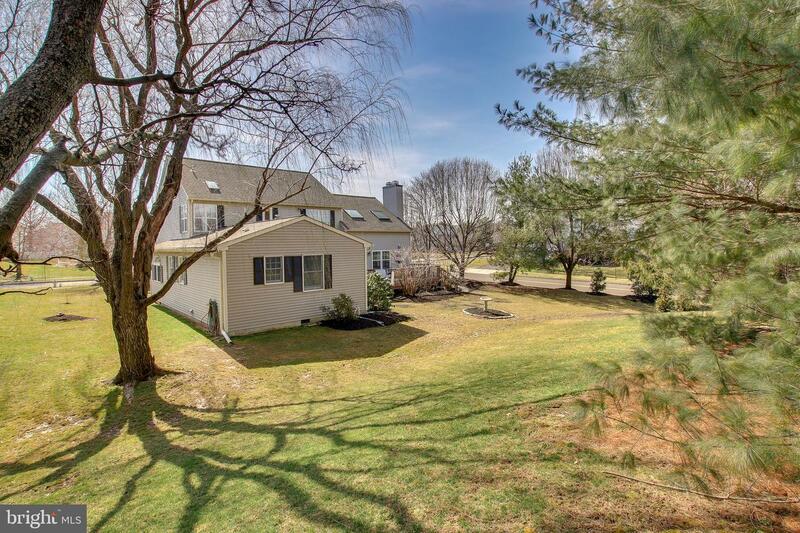 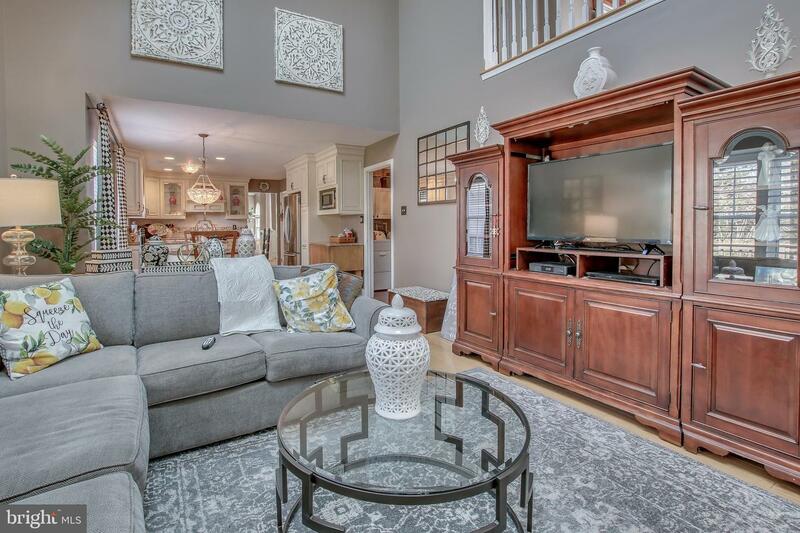 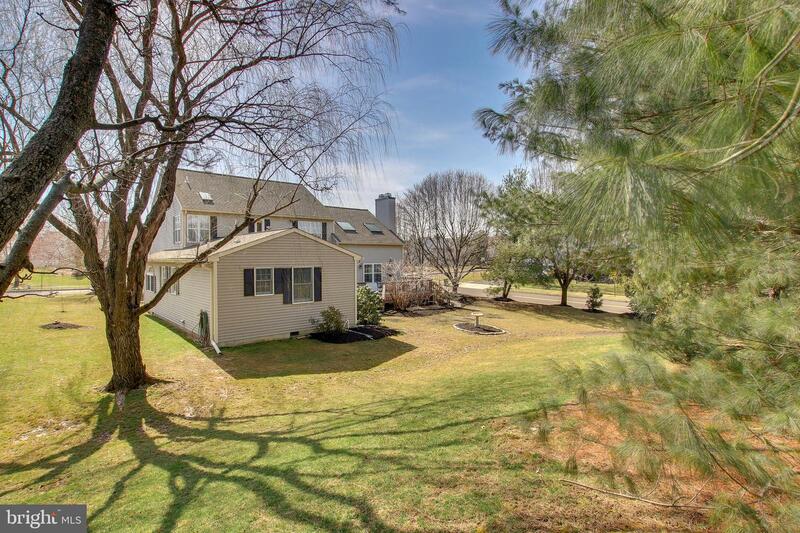 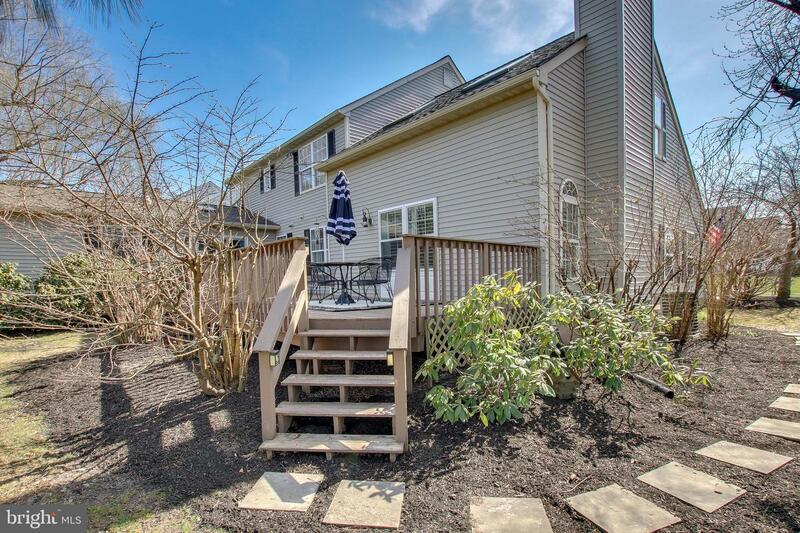 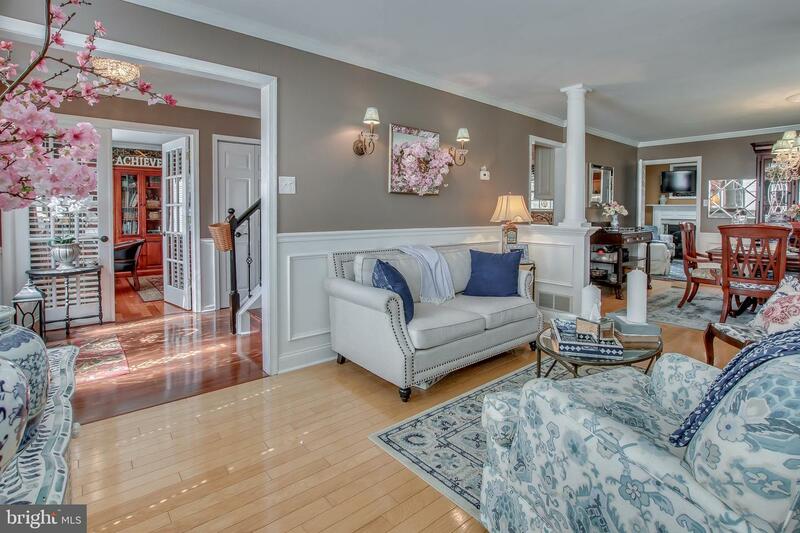 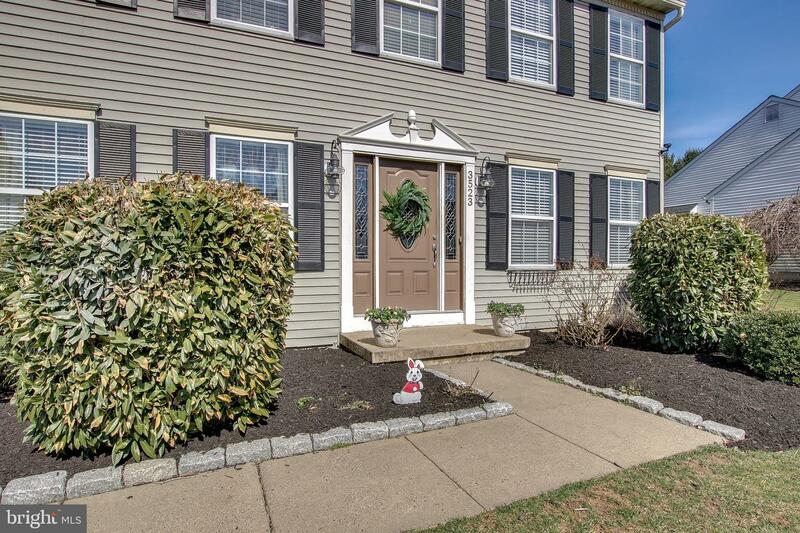 Beautiful 5 Bedroom Colonial in Warrington Oaks with Full 1st floor In-Law Suite Addition which Features Full Lr/Dr Combination, Full kitchen and its own private master suite & bath. 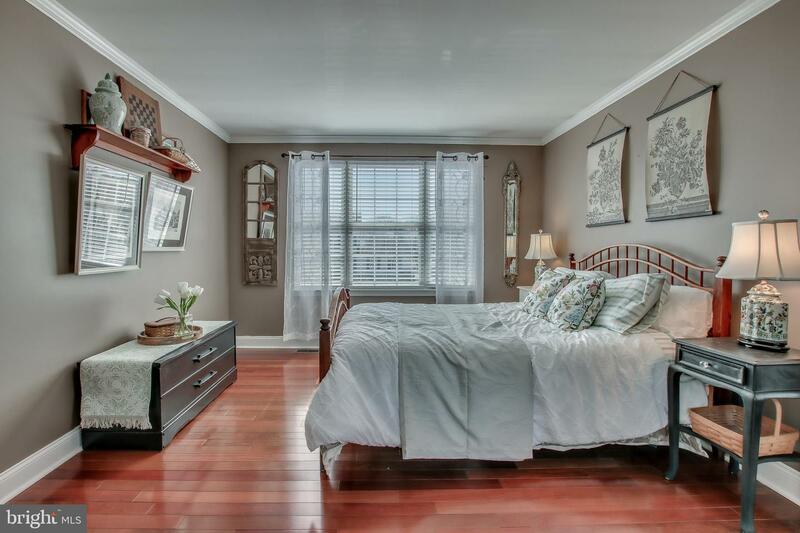 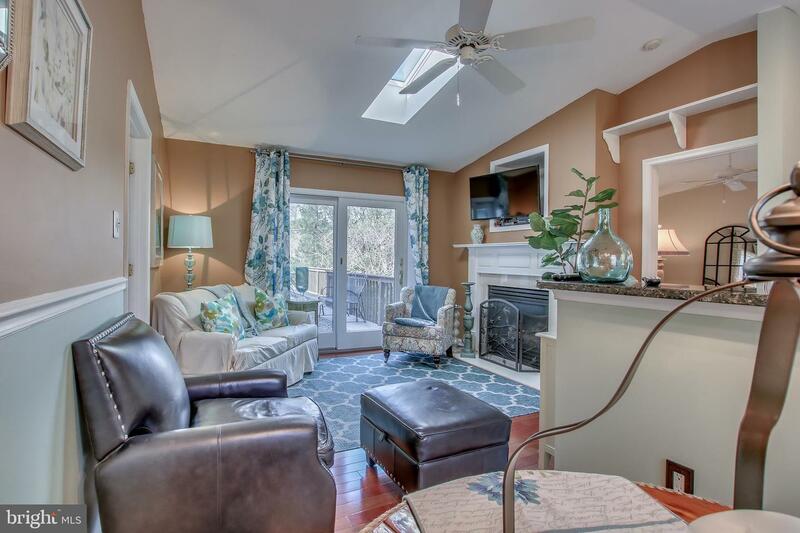 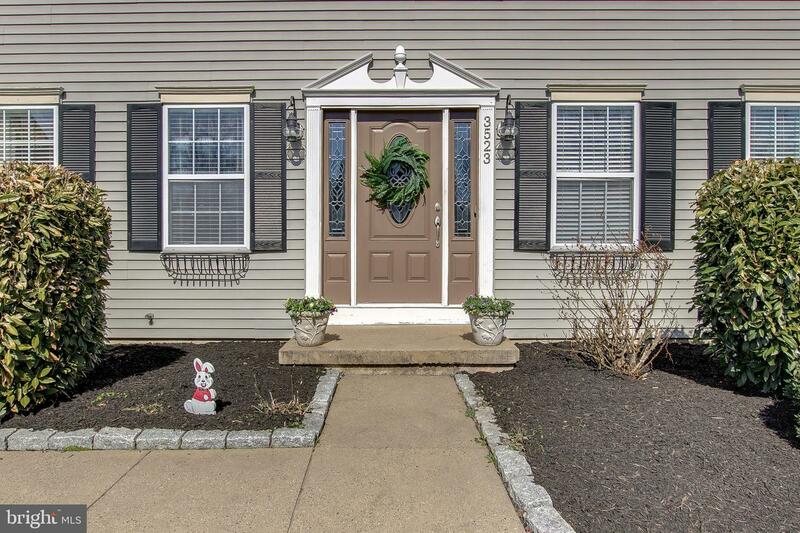 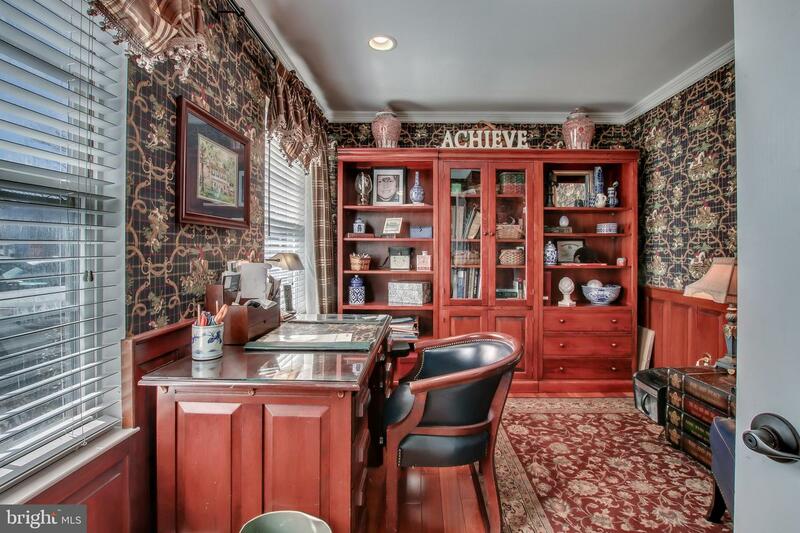 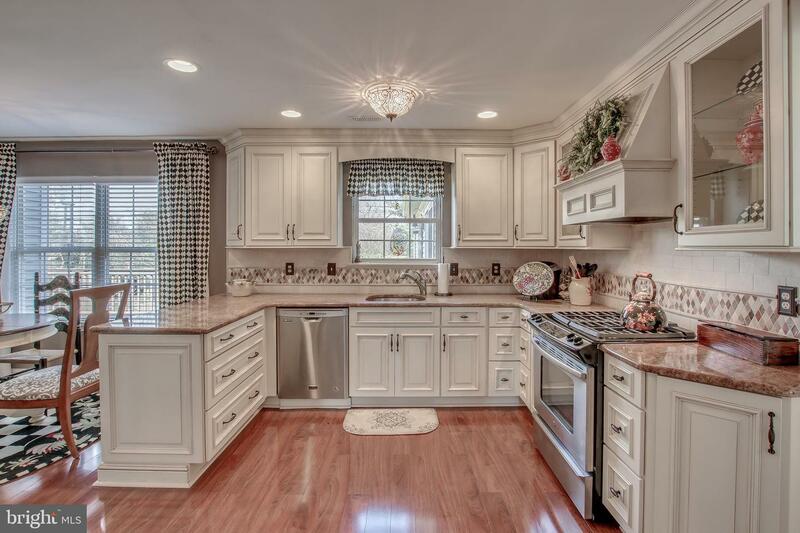 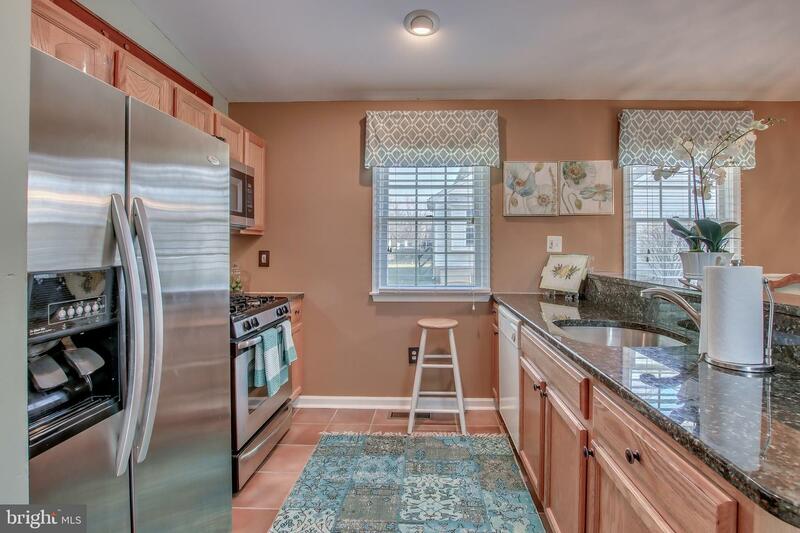 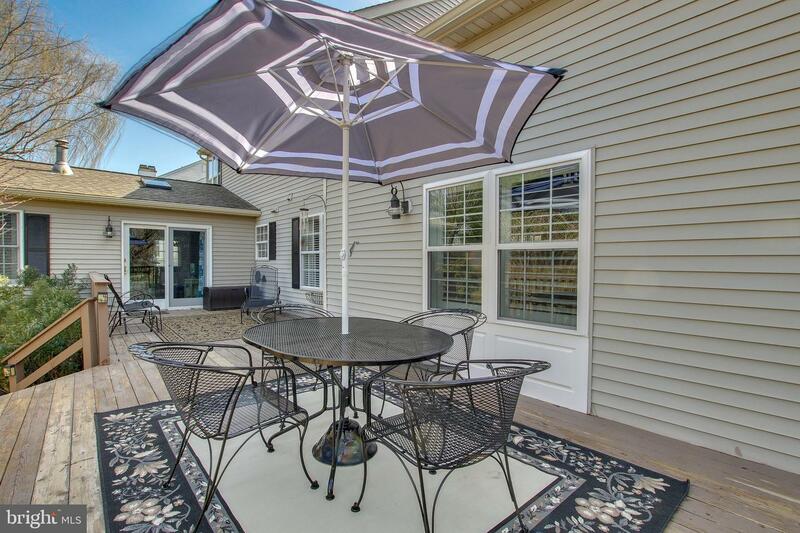 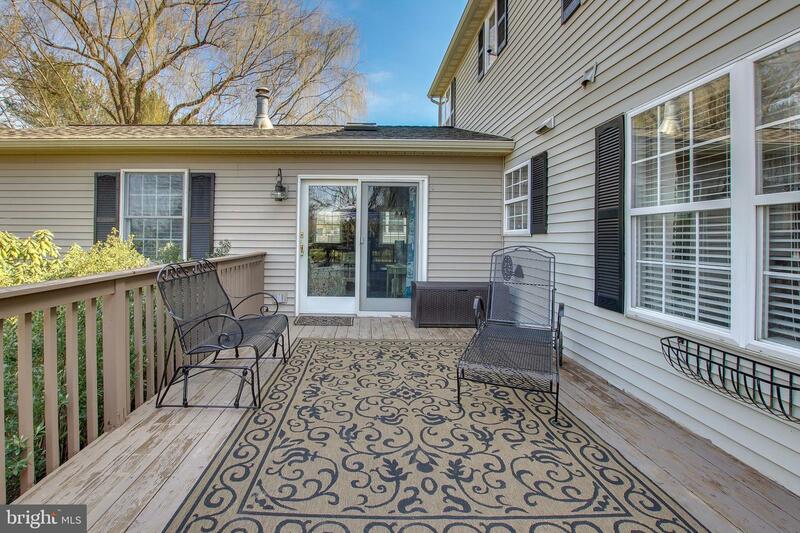 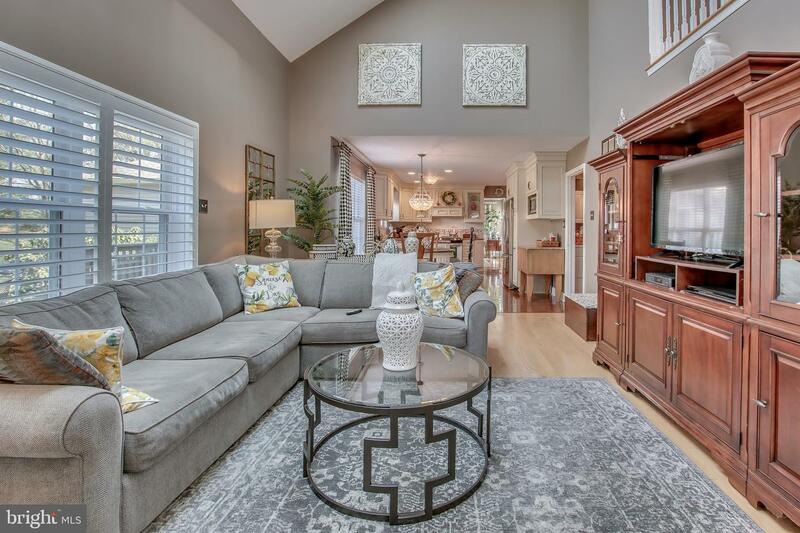 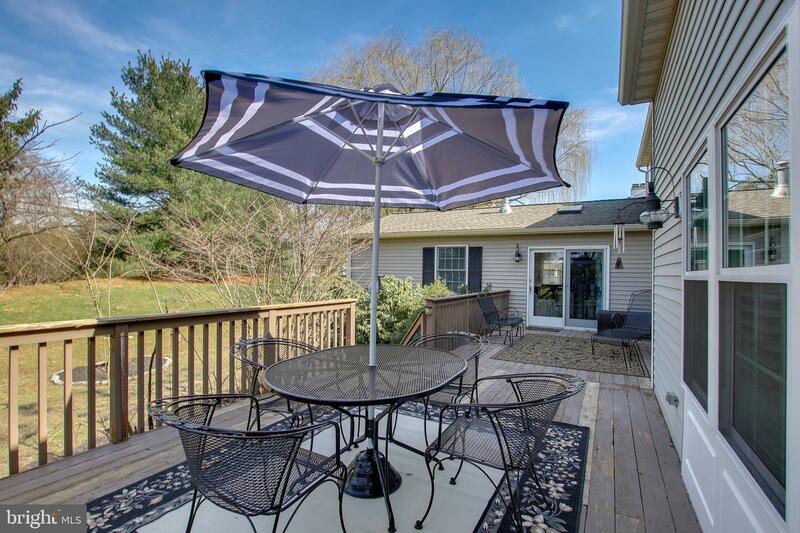 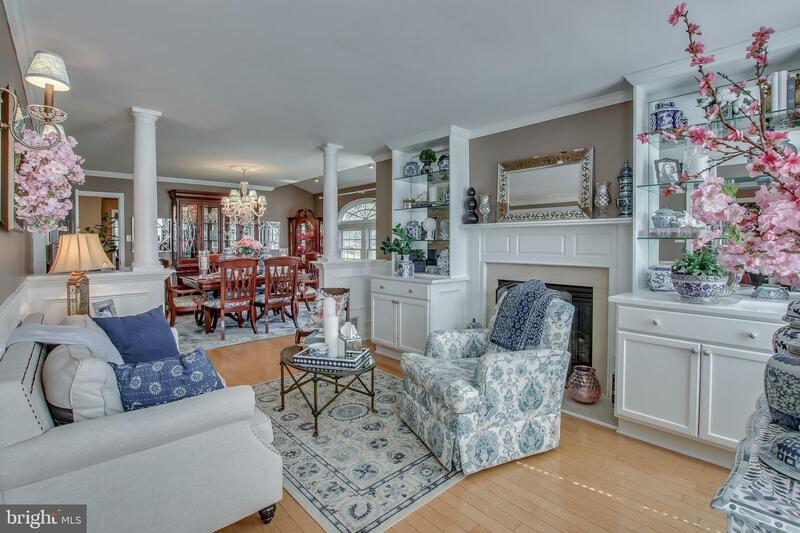 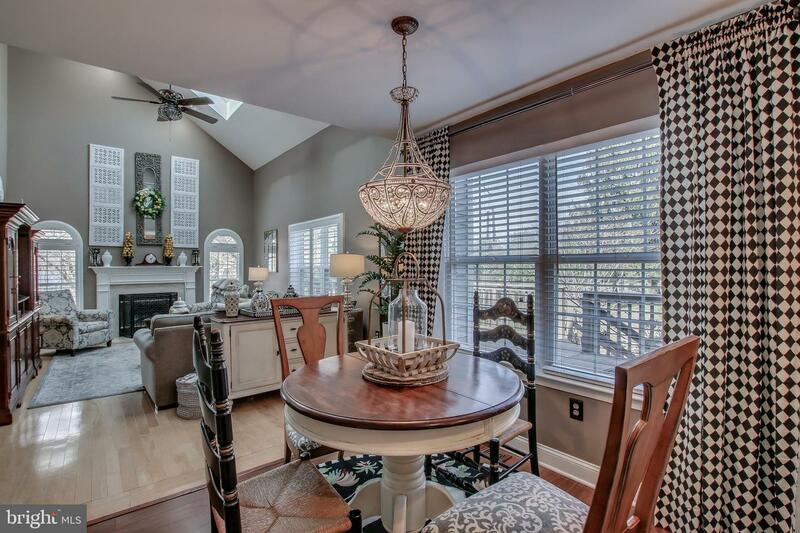 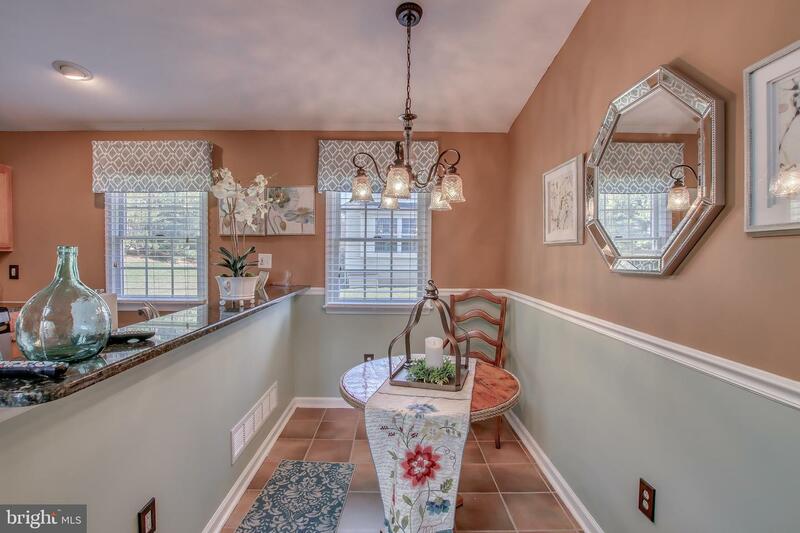 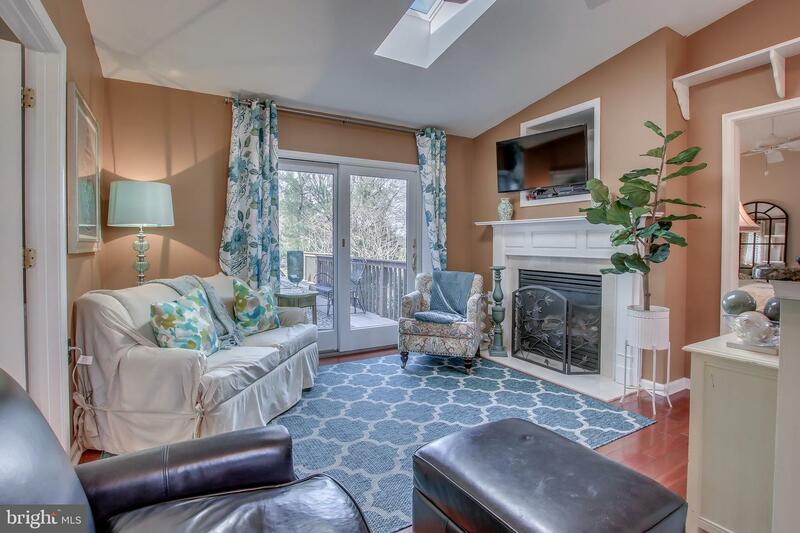 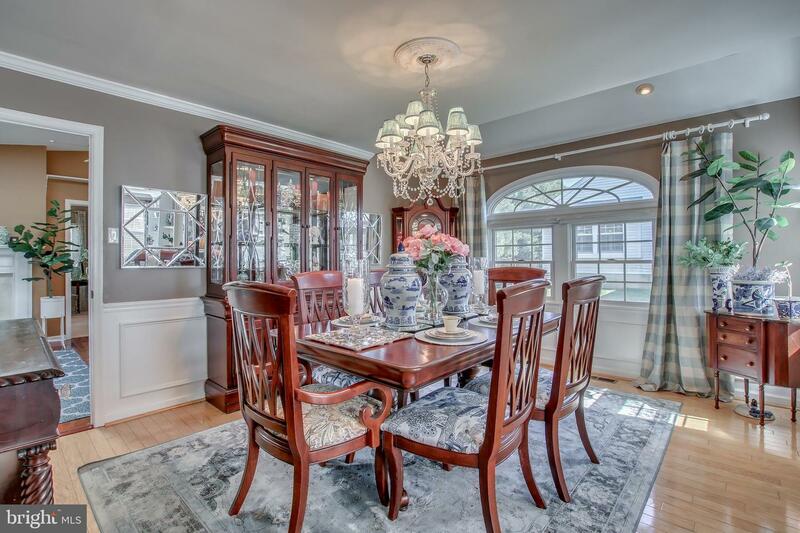 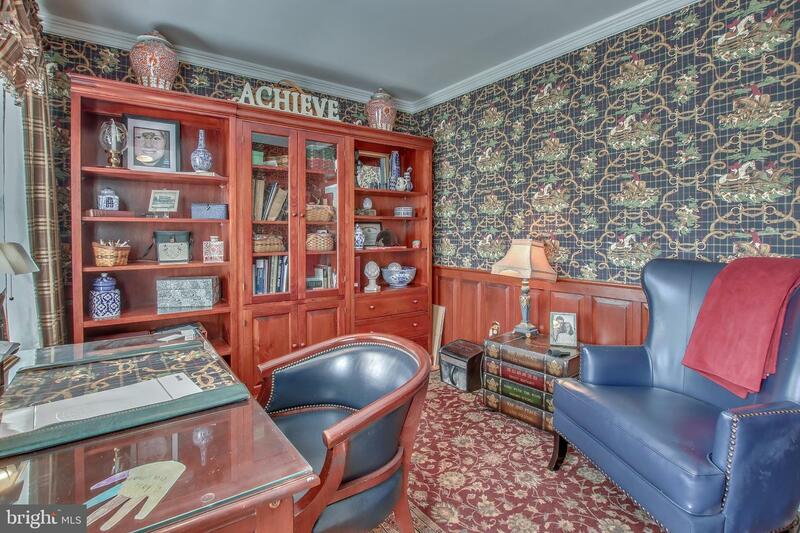 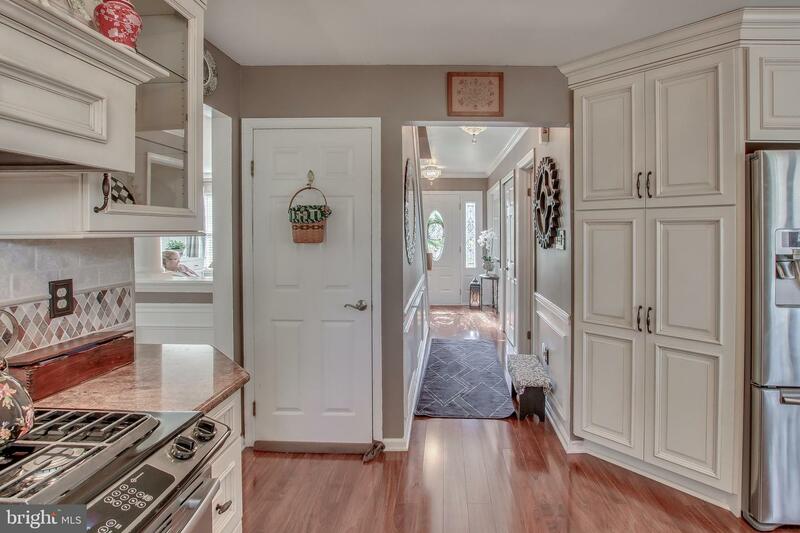 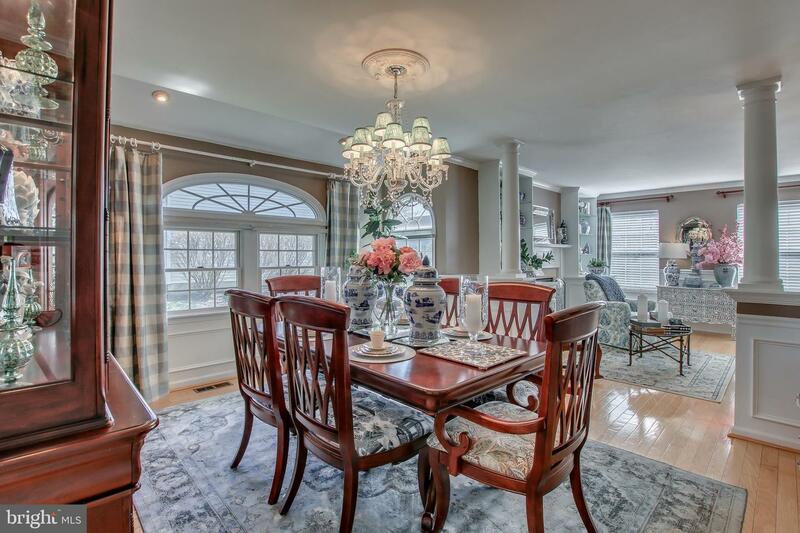 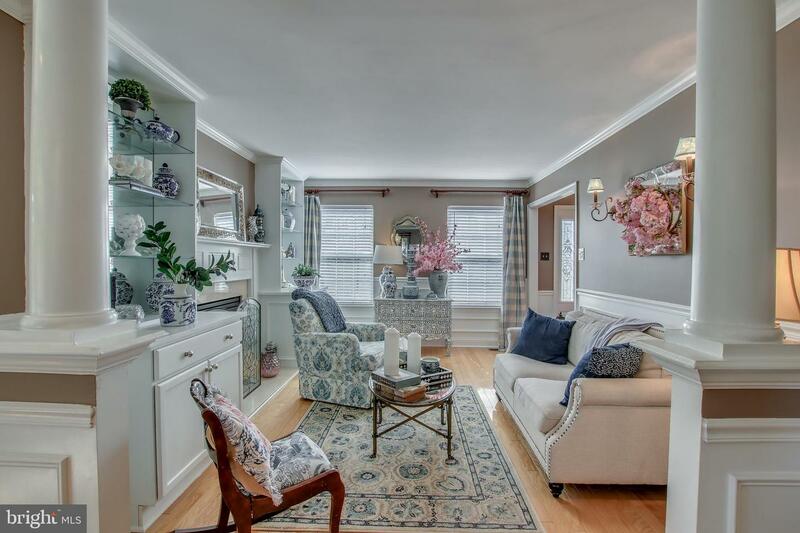 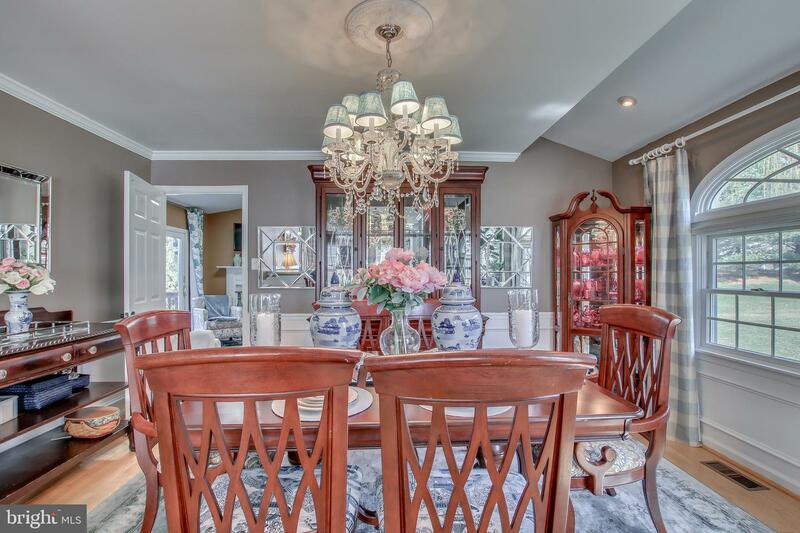 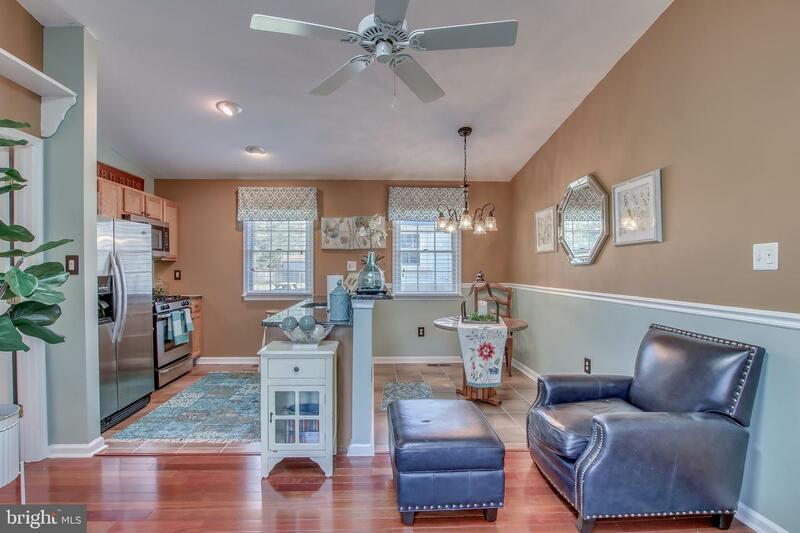 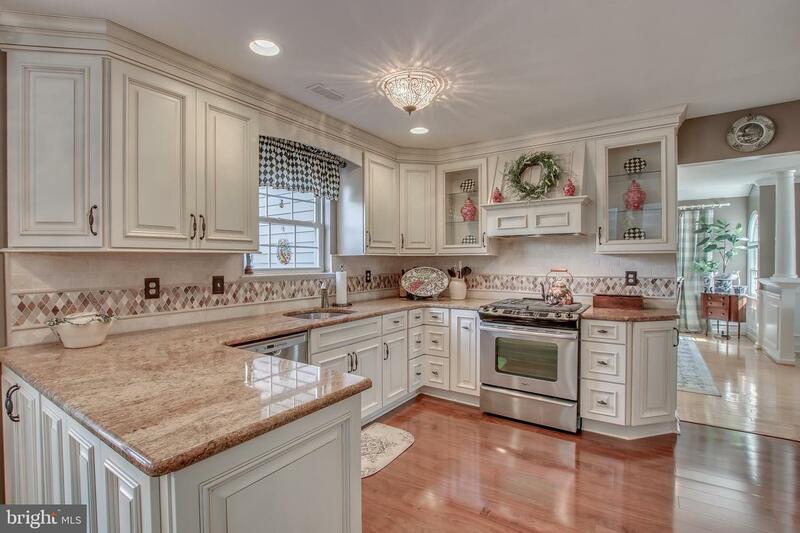 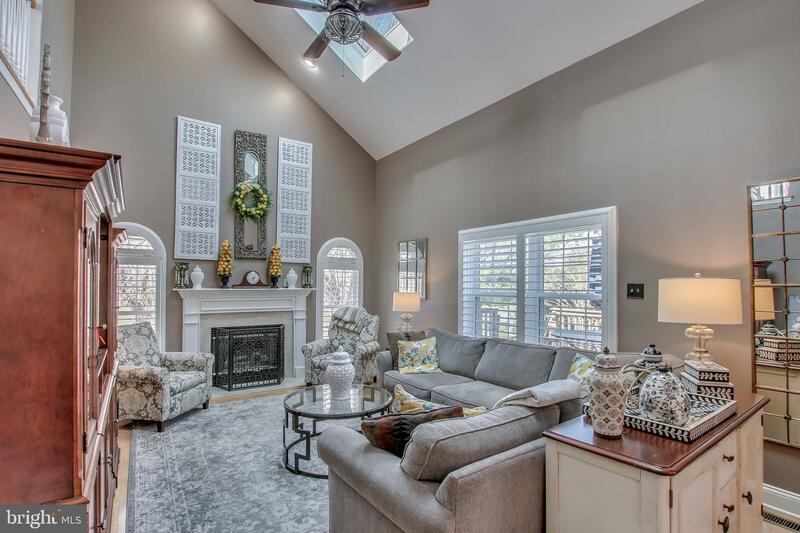 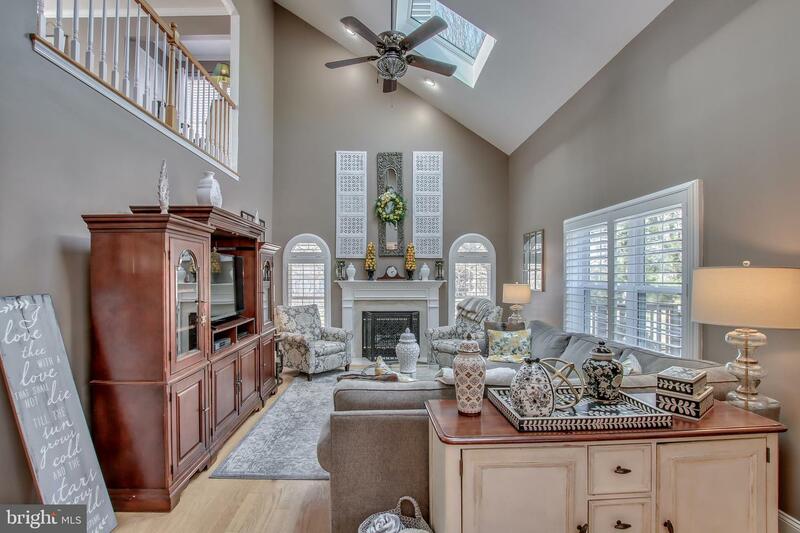 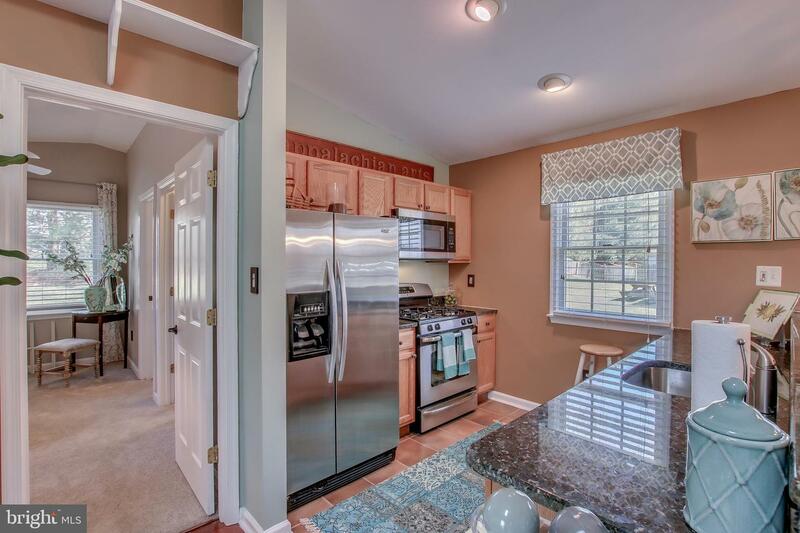 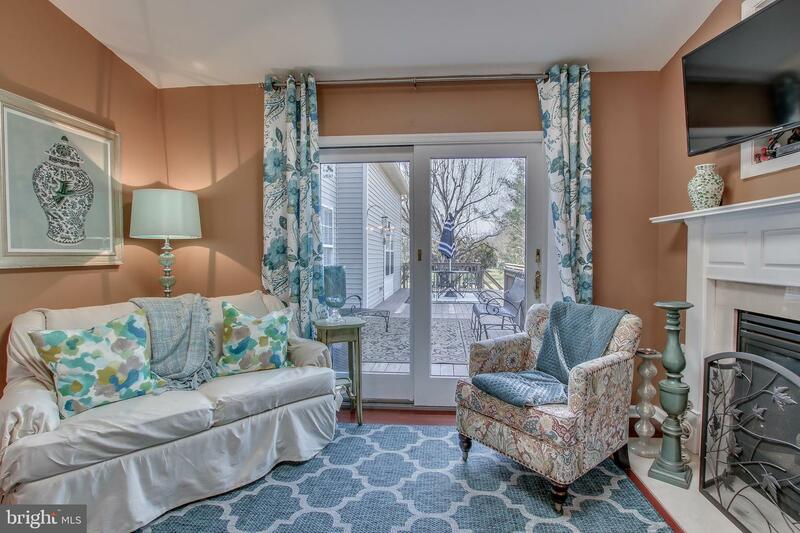 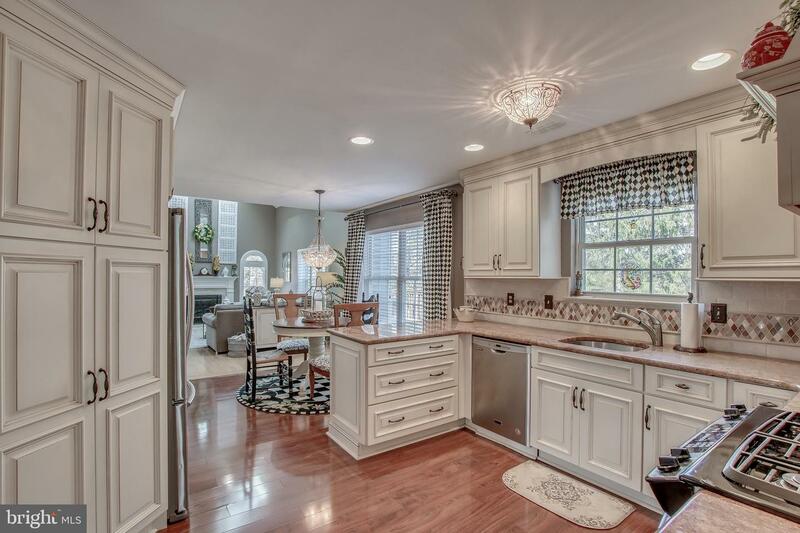 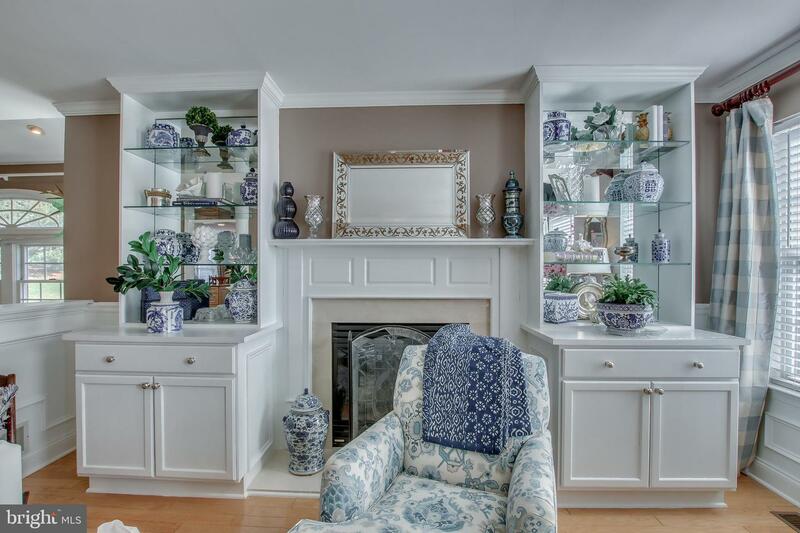 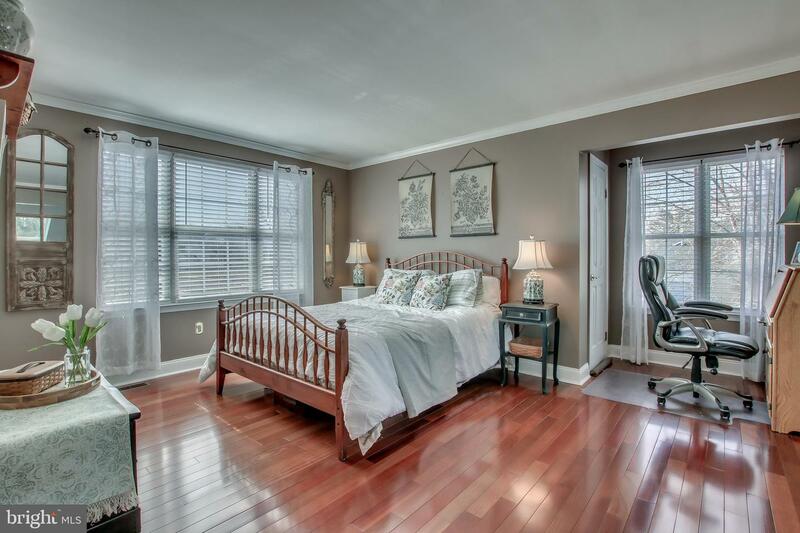 This home has been meticulously maintained and upgraded throughout. 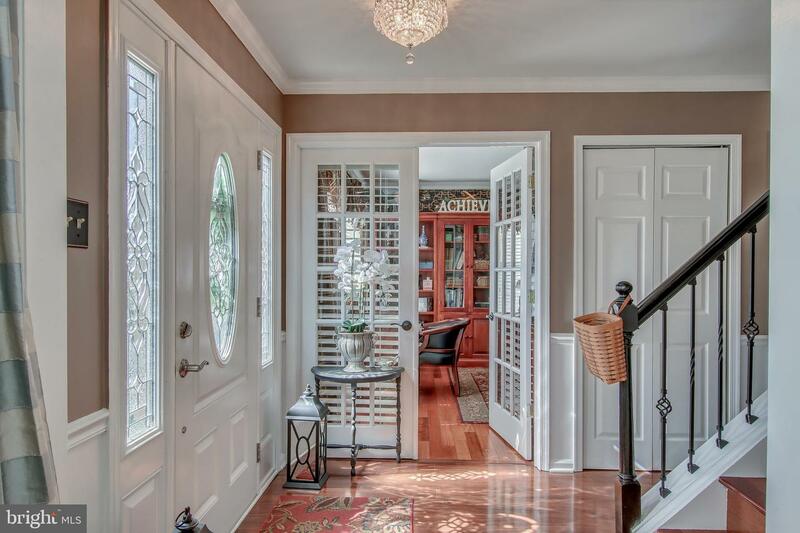 Enter into the formal entry with custom leaded front door, Spacious foyer entry with hardwood floors opens to double glass French doors to office with custom cherry wainscoting, crown molding & recessed lighting. 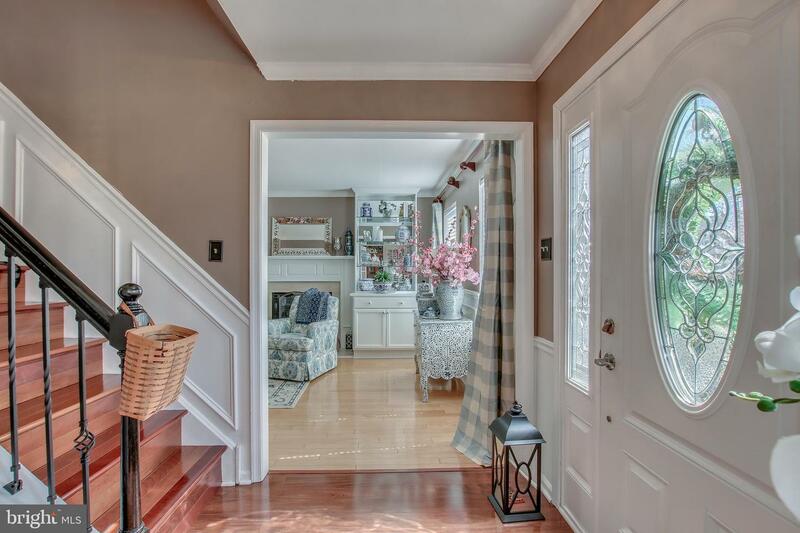 Foyer opens to Formal Living with Built-in custom cabinetry to each side of Gas fireplace with custom mantel and granite surround. 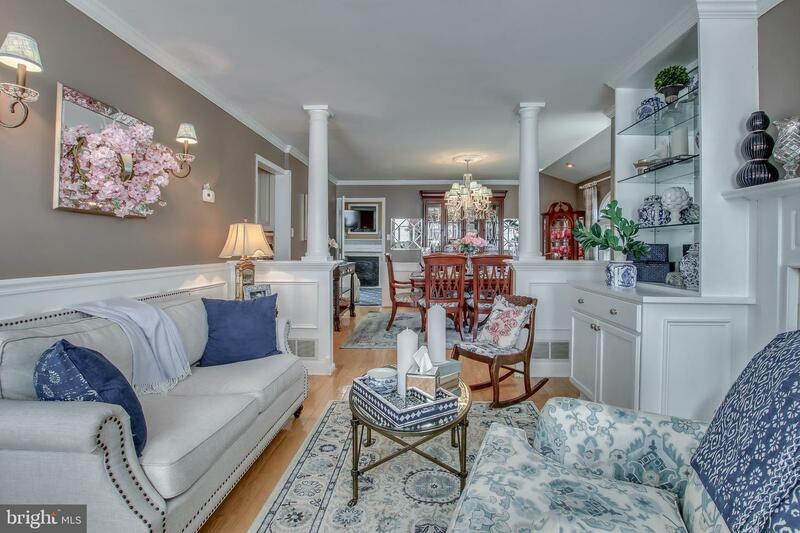 Half wall with pillars separates Living Room from the from formal dining room w/bump out addition featuring vaulted ceiling and large twin Palladian window. 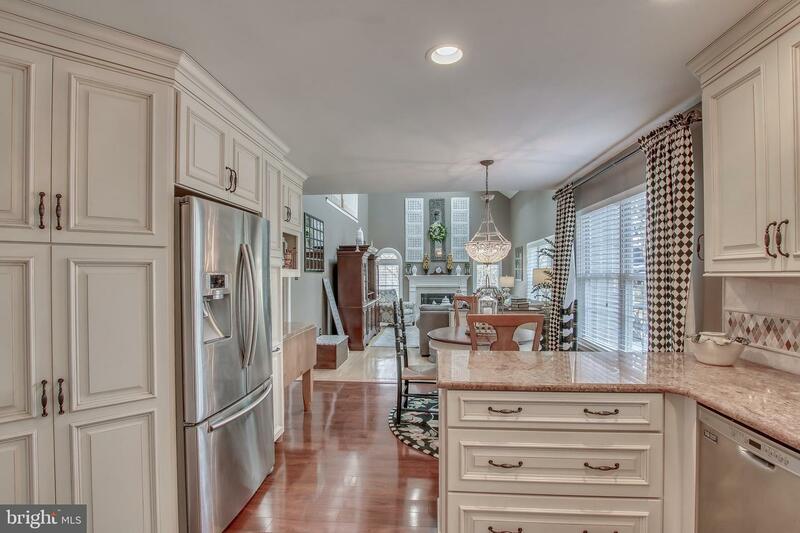 Hardwood floors continue from foyer into LR and DR. Gourmet Kitchen off Dining room features Hardwood floors, Solid raised full overlay white cabinetry with beaded inlay doors, granite counter tops and under mount Stainless Steel Sink, custom ceramic backsplash, Upgraded Stainless steel appliances, Stainless steel Gas range with full ducted custom range hood, SS dishwasher & microwave, SS refrigerator. 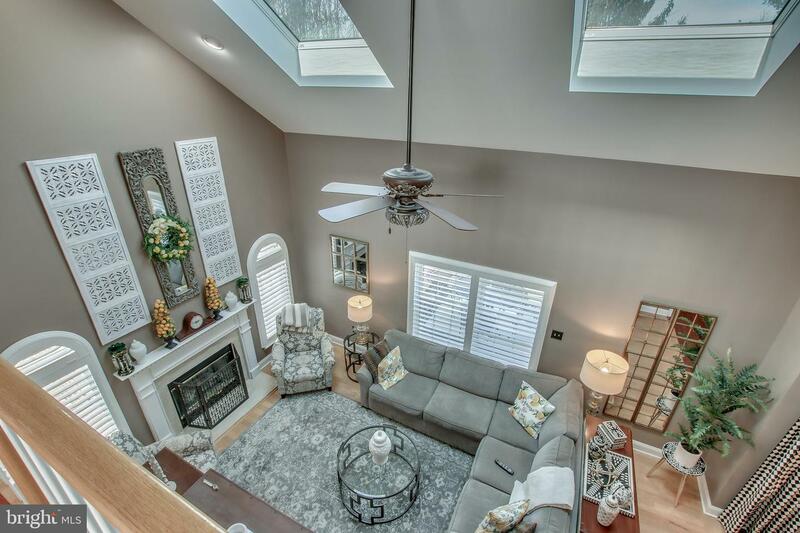 Separate eating room opens to 2 Story Family Room with Hardwood floors, Vaulted ceilings and two oversized sky lights & open balcony off 2nd floor landing overlooking family room. 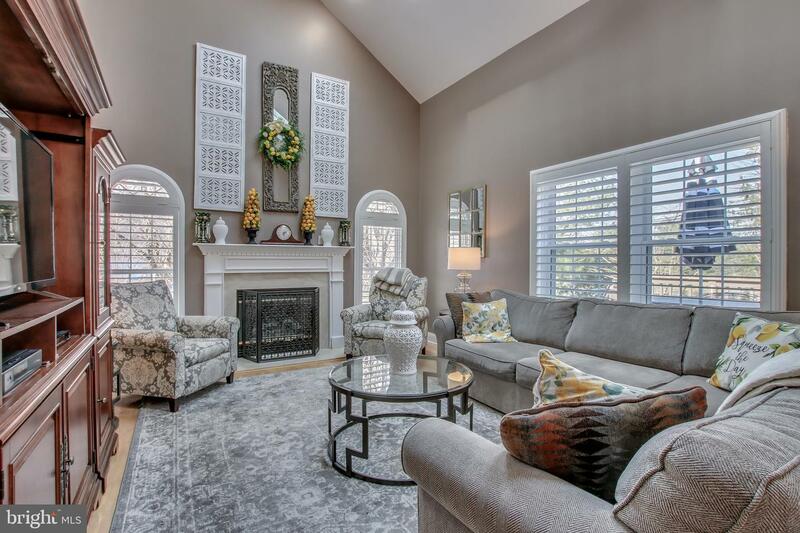 Custom Gas fireplace with custom wood mantle and granite surround. 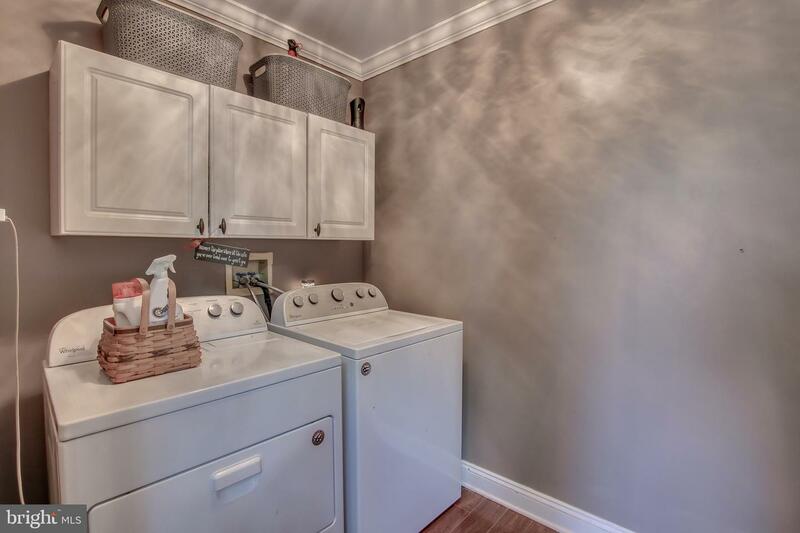 Large laundry room off kitchen with access to 2 car side entry garage.1st floor In-Law Suite addition features Large Living room with vaulted ceiling, ceiling fan & Hardwood floors, Custom Gas fireplace & oversized slider to pressure treated deck. 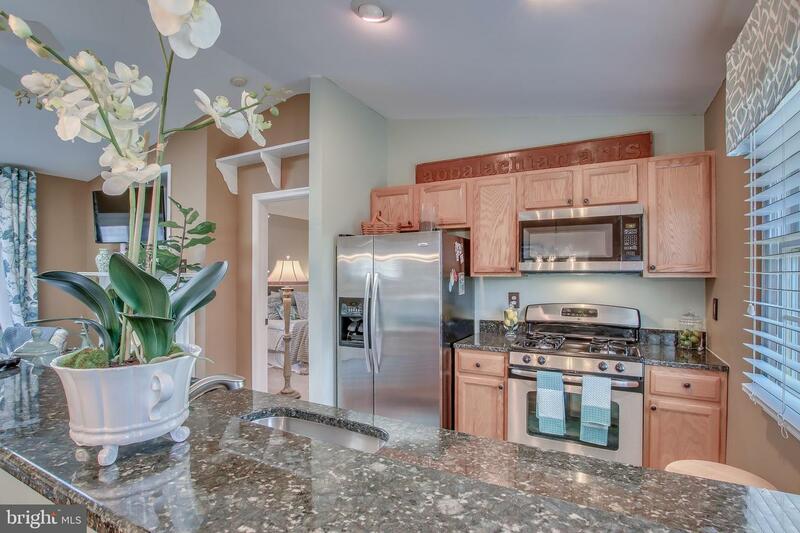 Living room opens to custom oak kitchen with granite counter top, Stainless steel appliances, Gas range & overhead microwave, dishwasher. 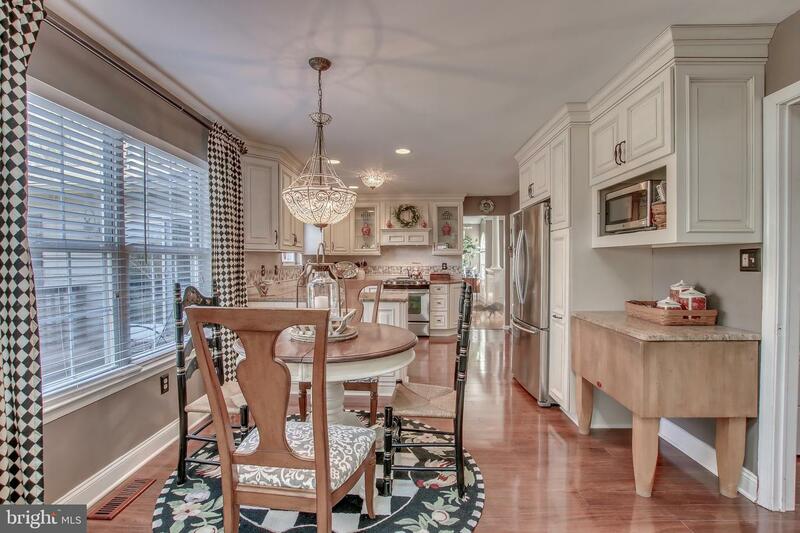 Separate eating area with custom laminate floor. 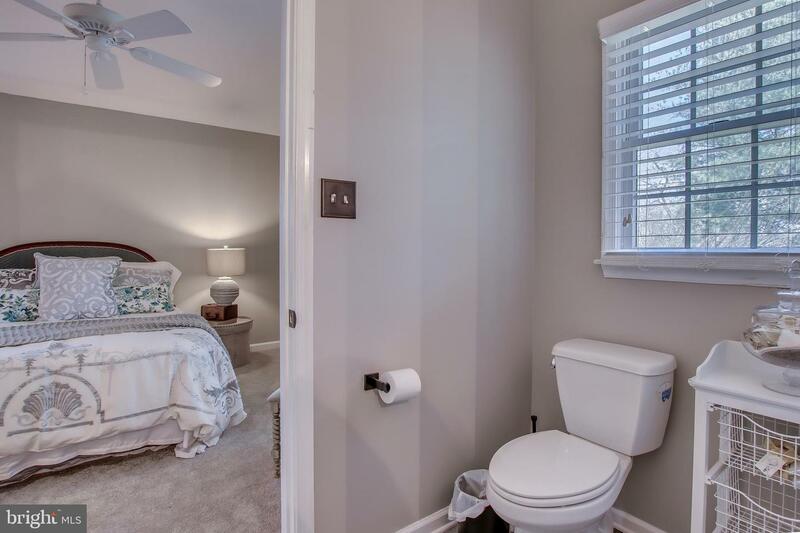 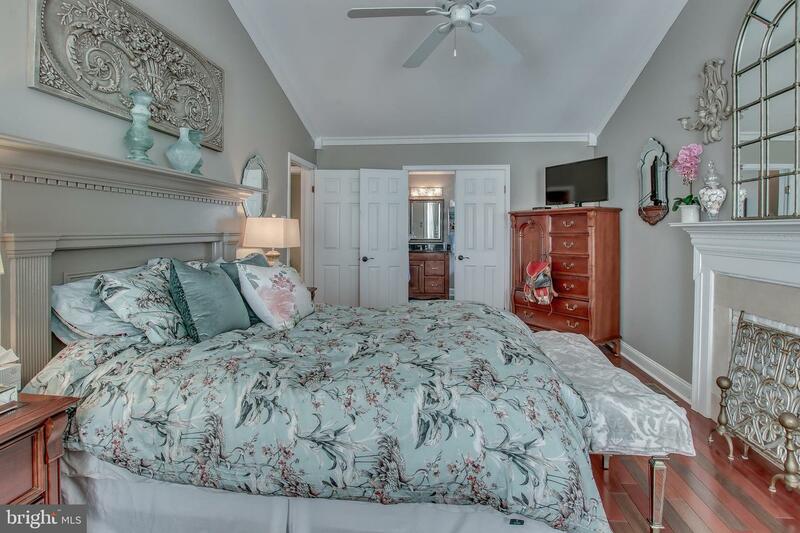 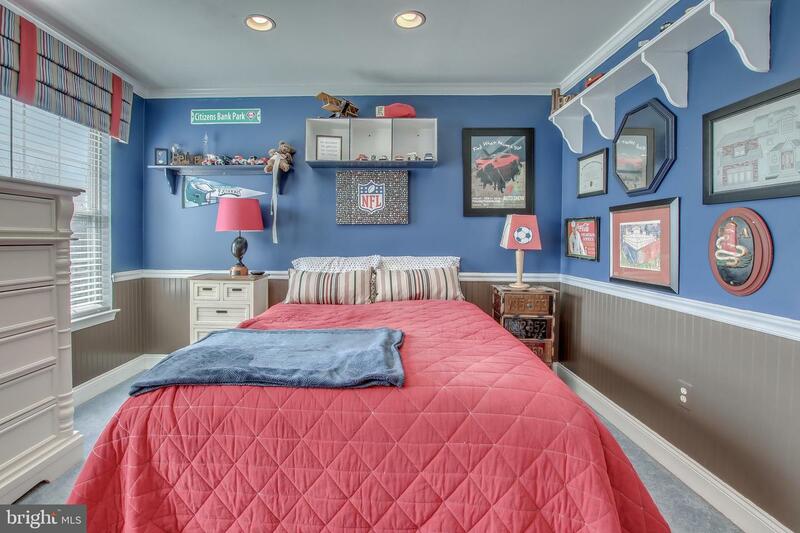 Separate Bedroom with wall to wall carpeting, vaulted ceiling and beautiful bath with walk-in shower and single vanity. 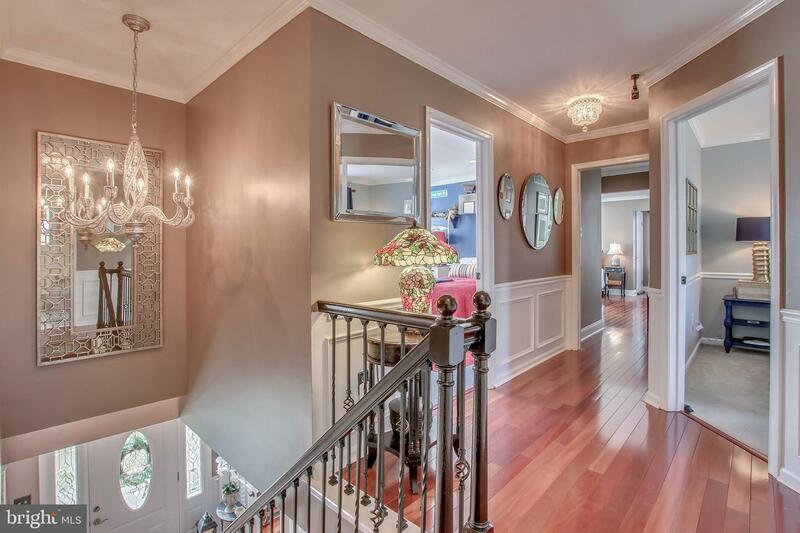 Open staircase from formal entry features open wrought iron spindle and oak treads to open 2nd floor landing w/hardwood floors. 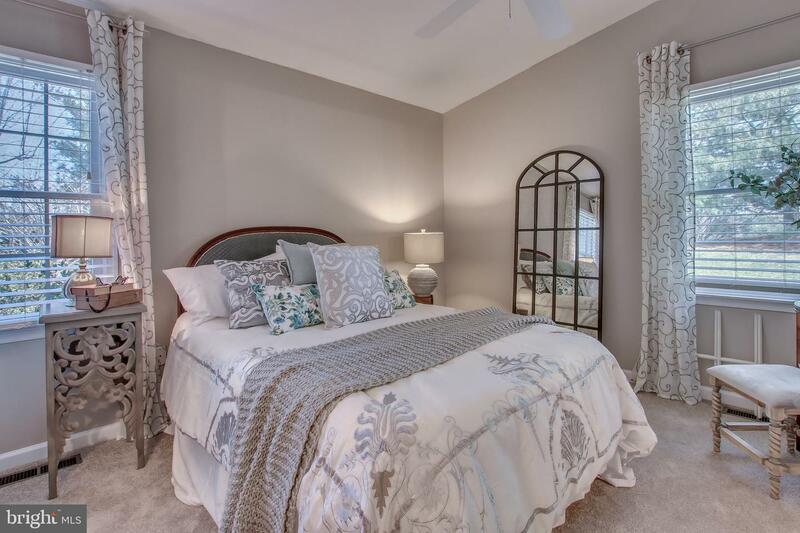 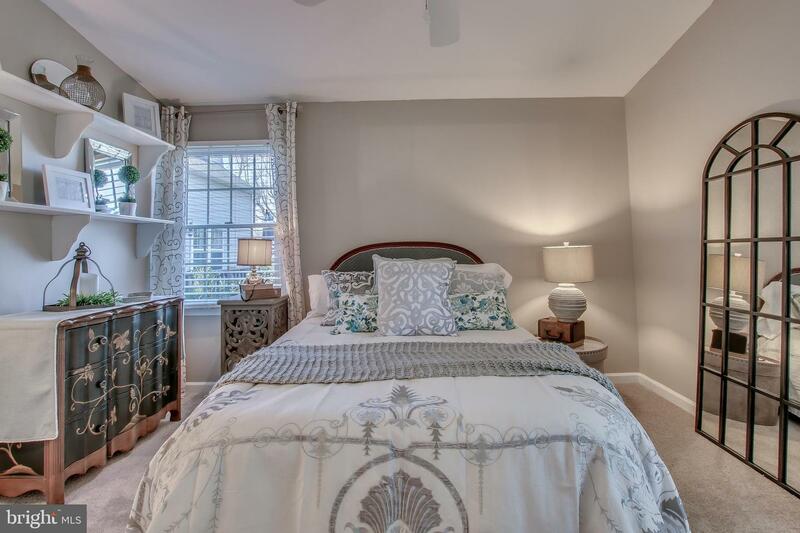 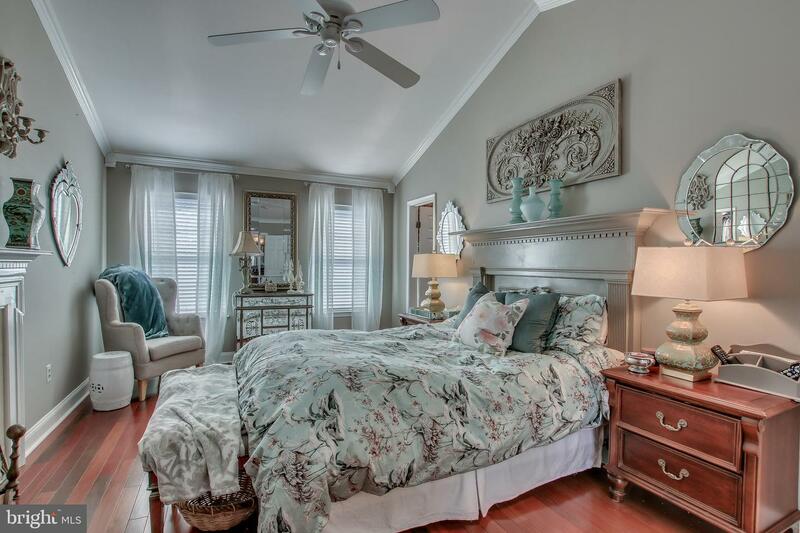 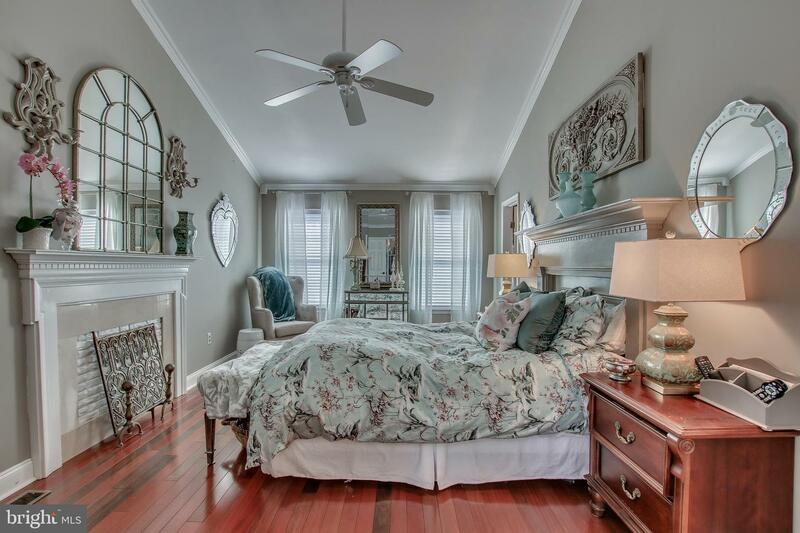 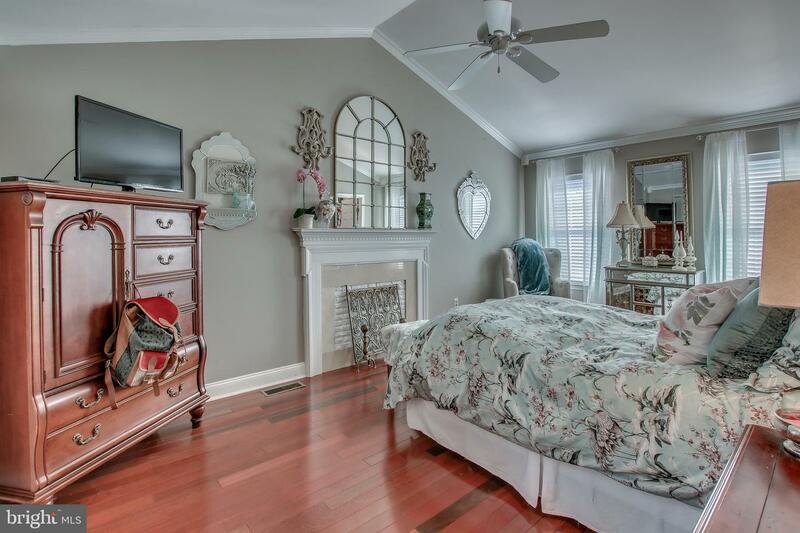 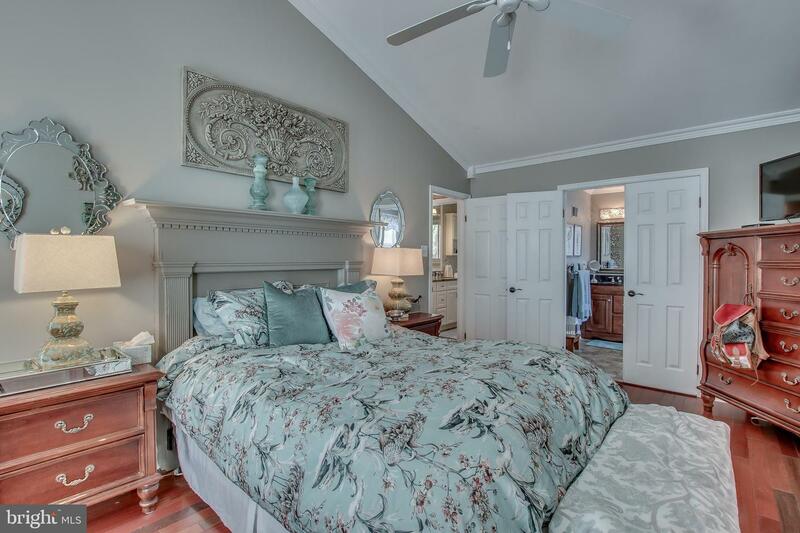 Master suite with double French doors, vaulted ceilings and crown molding and large walk in closet. 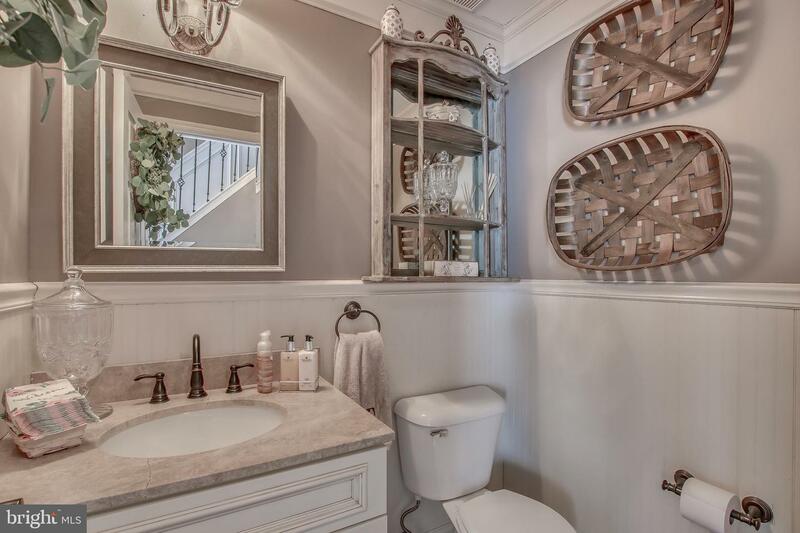 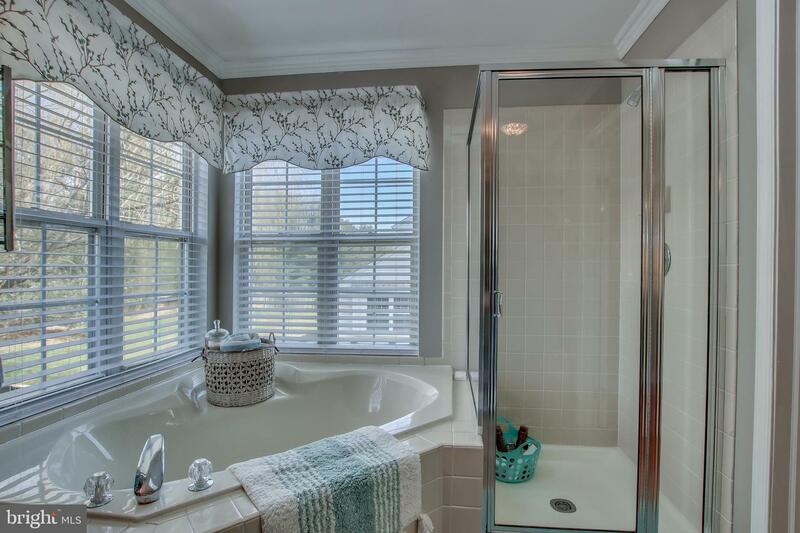 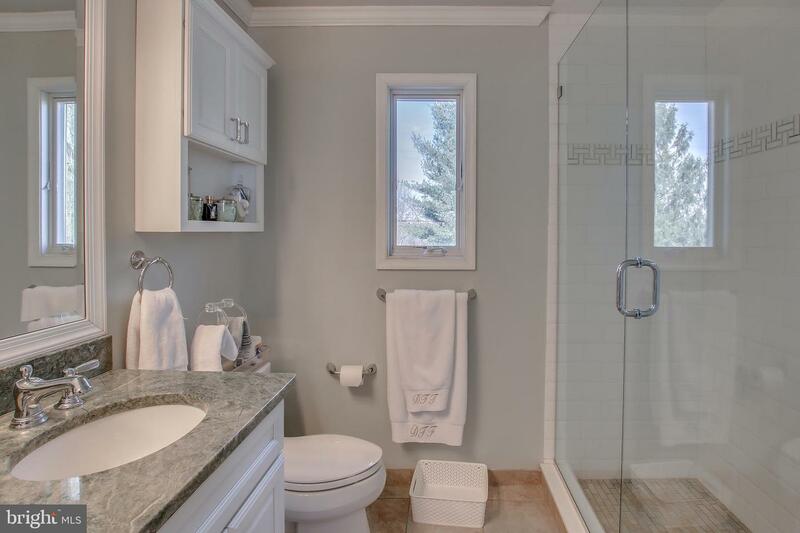 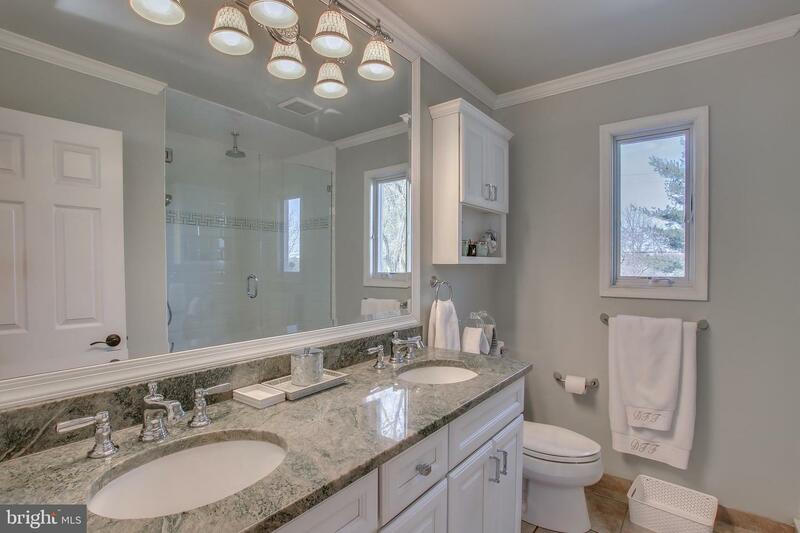 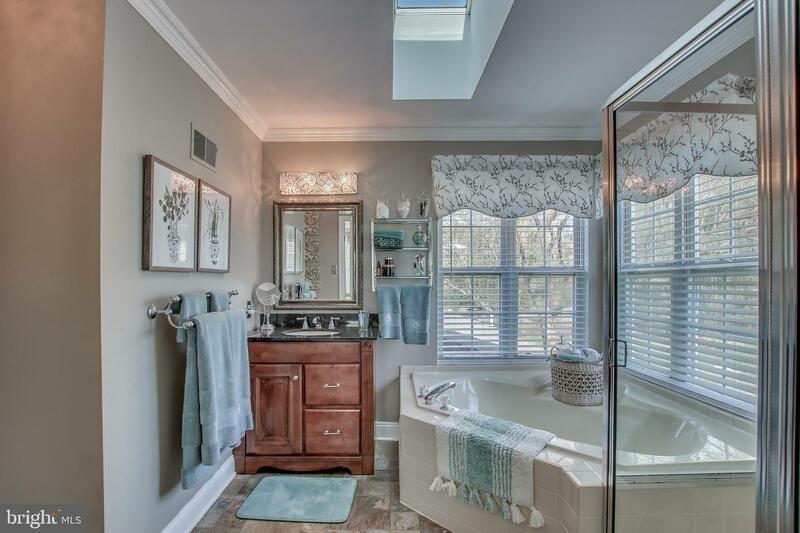 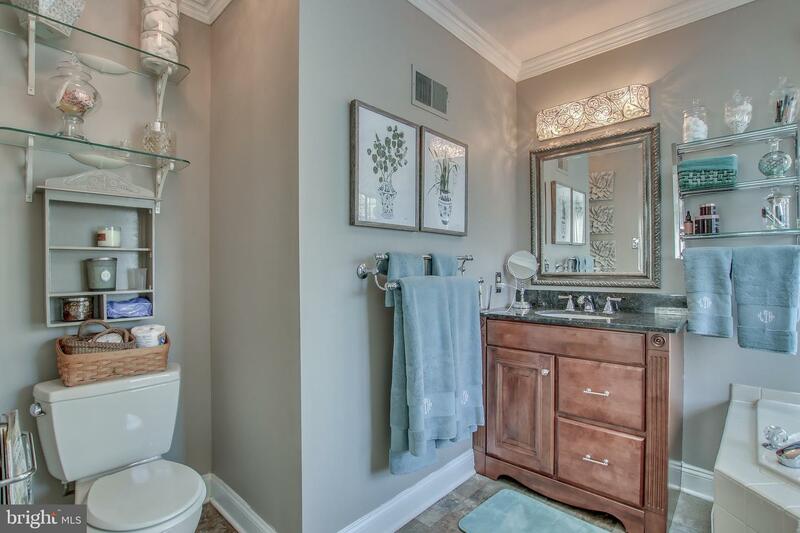 Master bath with corner platform tub and ceramic tile, large walk-in shower & custom vanity. 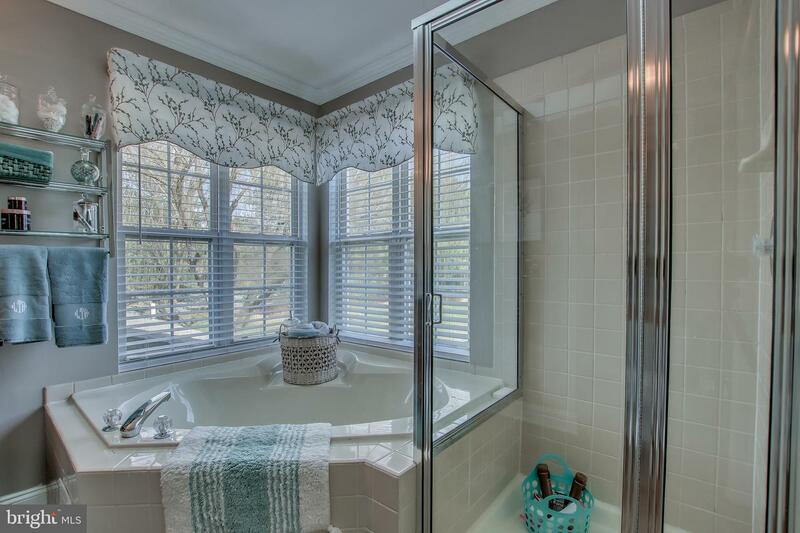 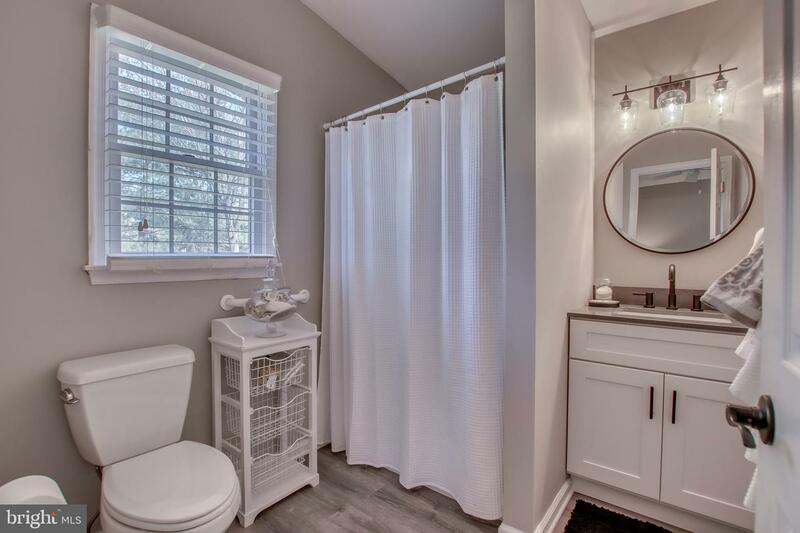 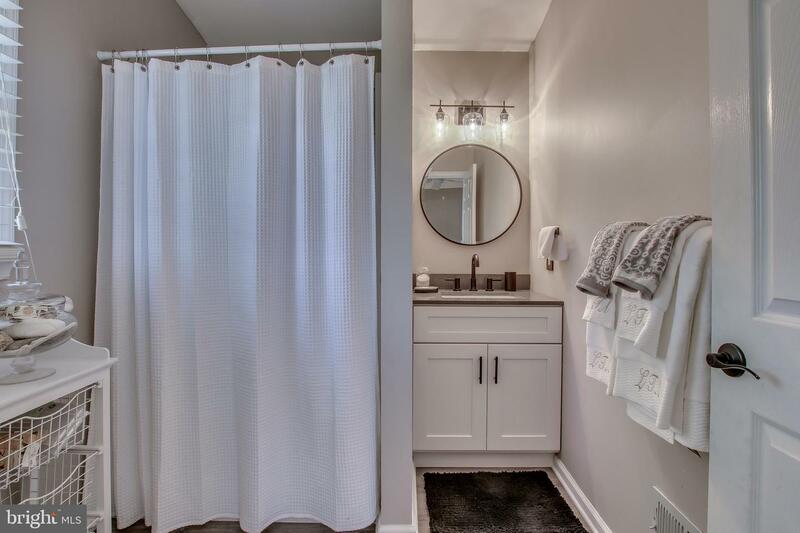 Gorgeous hall bath with seamless glass shower doors, custom ceramic tile & vanity with granite top.Two additional bedrooms with wall to wall carpeting, crown molding and recessed lighting. 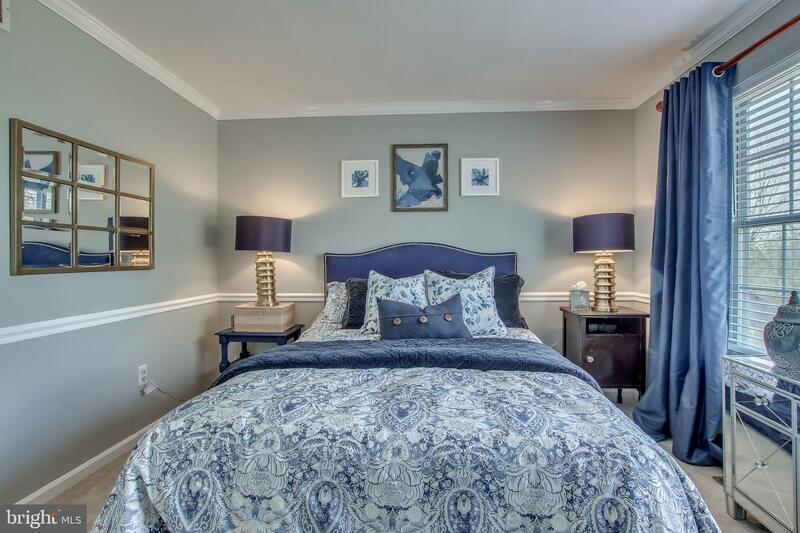 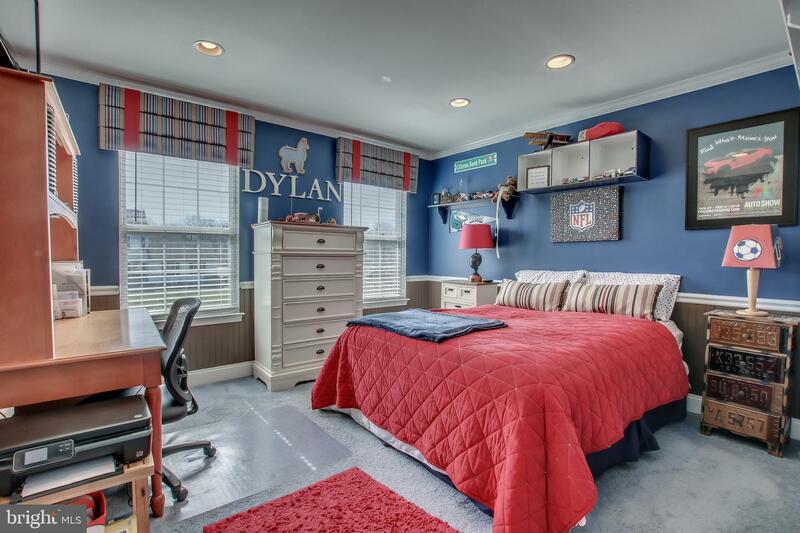 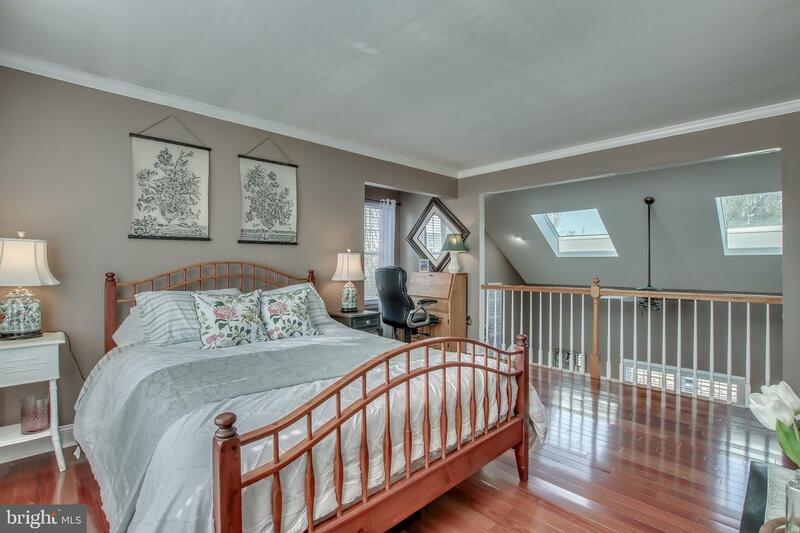 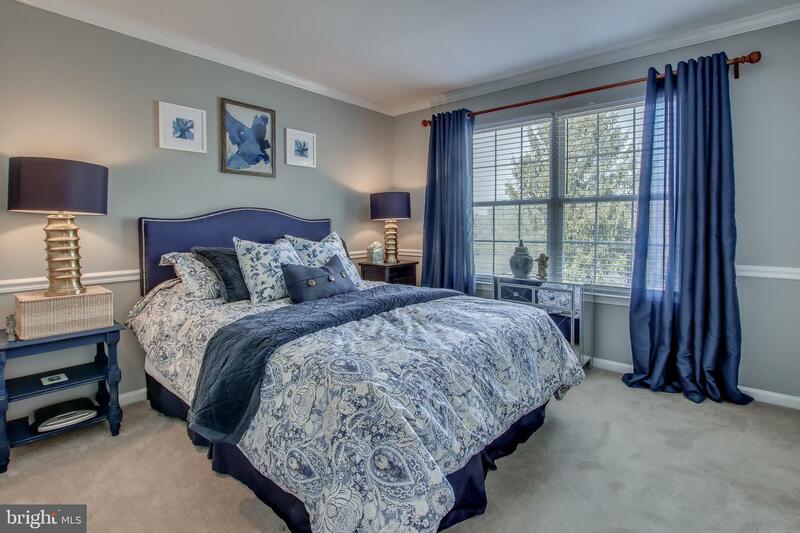 4th bedroom on 2nd floor features hardwood flooring and balcony overlooking Family Room completes the 2nd floor. 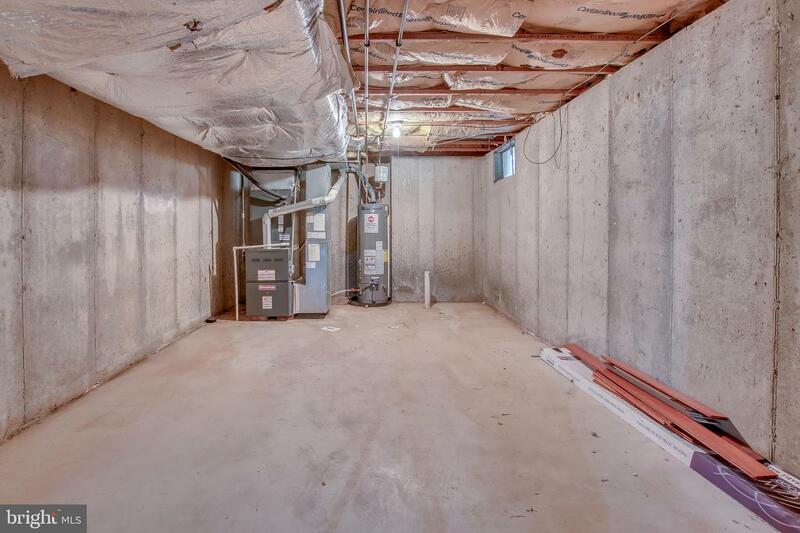 Large corner lot, full basement. 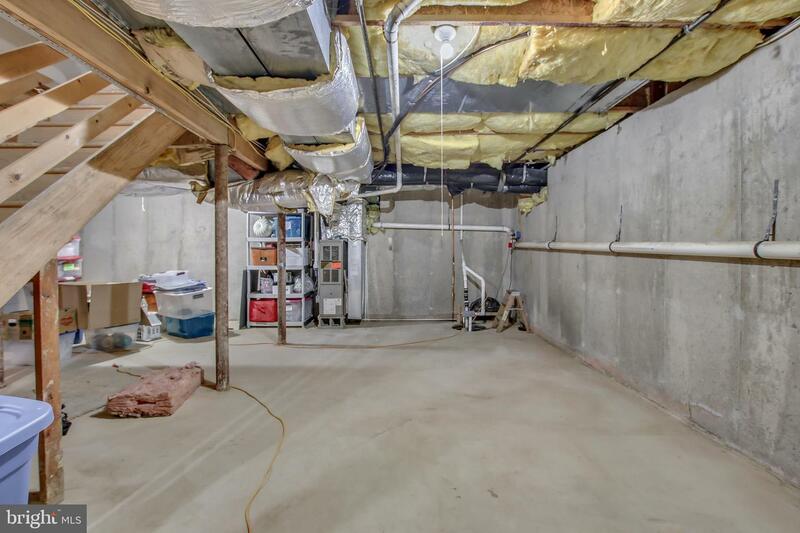 Two separate heating and a/c systems.